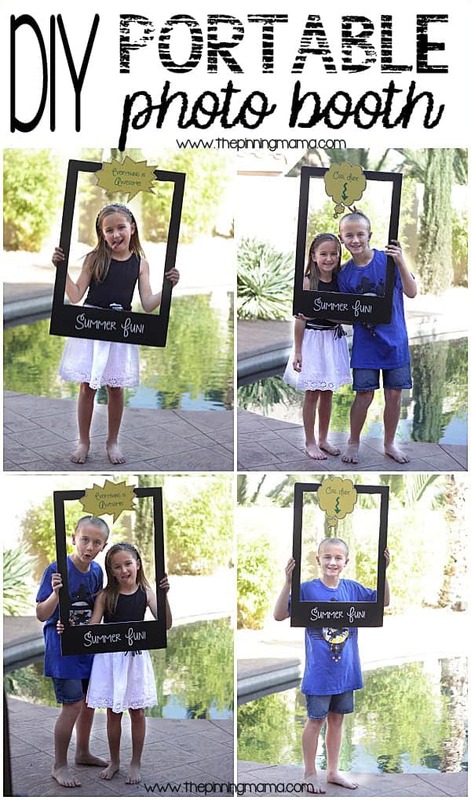 Making a Summer Time Capsule with your family is a great way to have fun capturing memories from your summer vacations and activities and reliving them through laughter and memories the next year! This post was graciously sponsored by Elmer’s and Wet Ones. All the creativity is courtesy of yours truly! Summer is a time to take vacations, have fun, and make memories. Some of my favorite memories from my childhood are the road trips we took, the one time we went to Disney, the places we used to always stop at on the beach, and all of the trips to the pool, the zoo, and millions of other little details that make up summer for a kid. This year we are having fun finding special mementos from each place we go and each activity we do. The kids almost think it is as much fun as the activity we are doing to hunt down the special thing we will keep to remember it. All of the mementos we are gathering are put into our summer time capsule which will be put away at the end of the summer. At the beginning of the next summer we will be able to hunt down the capsule (a scavenger hunt maybe?) and go through all of the good times reliving the fun times though laughter and memories. 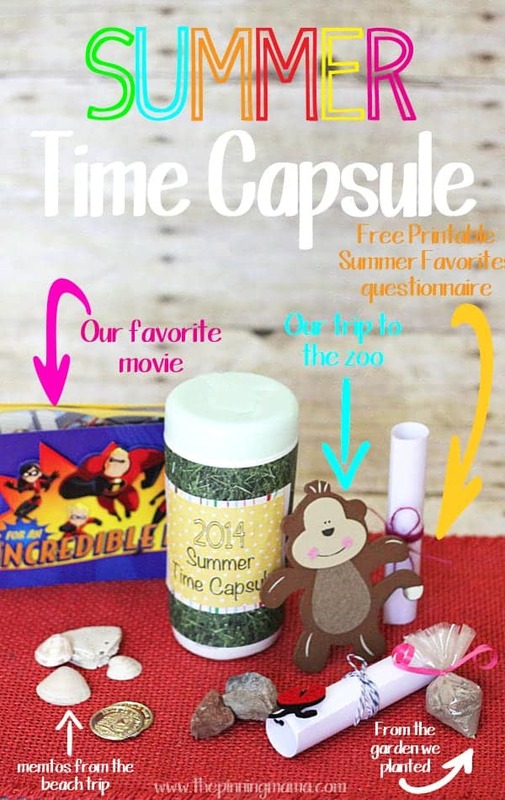 Making your own family summer time capsule is easy! 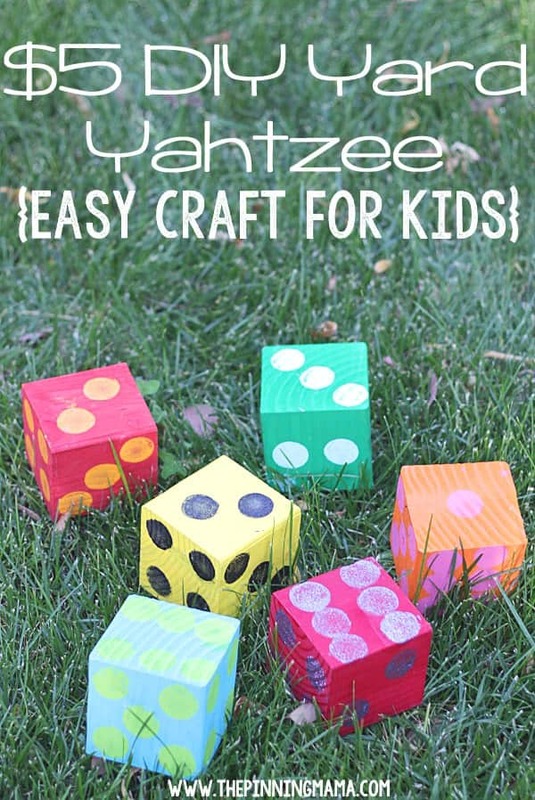 All you need is a canister of Wet Ones, a couple of sheets of scrapbook paper, and a little Elmer’s glue. I found the Wet Ones Container to be the perfect size to hold the items and still small enough so that it would be manageable to store until next year. Measure your Wet Ones container from right below the bottom of the lid, to about 3/4″ above the bottom. 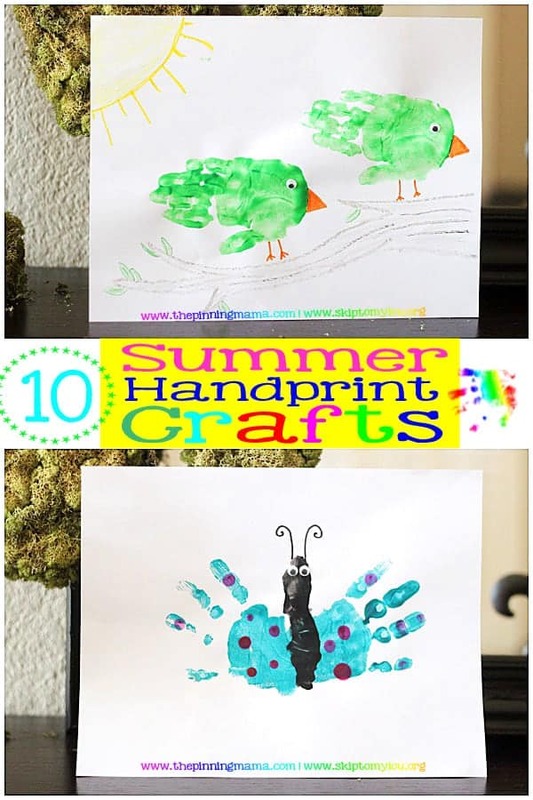 Cut your first piece of scrapbook paper to that length across the paper. Then either use a word processor or just your own good handwriting to write a label for your summer time capsule on the second sheet and then cut around it an approximate 4″x4″ square. Cut your third piece into a slightly larger square to make a border, and then use the Elmer’s glue to glue them together. Glue your first piece around the Wet Ones container and then glue the label right in center of the time capsule. 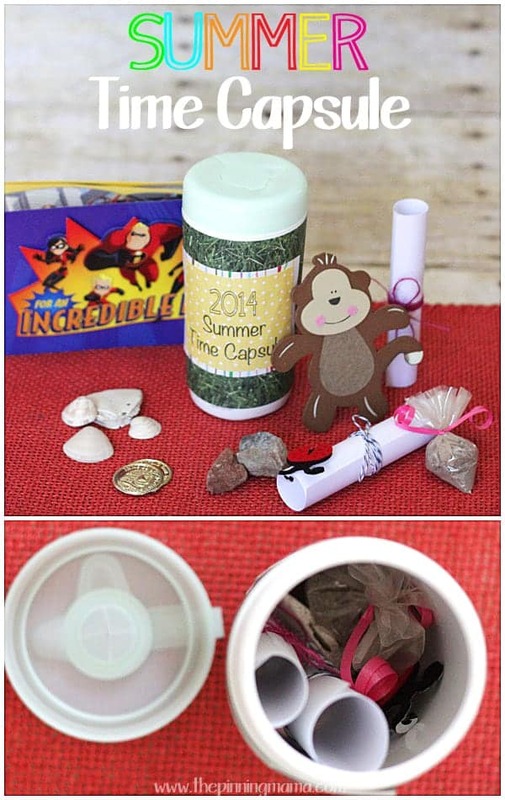 Use rubber bands to hold everything in place while the glue dries and then remove them to have a perfect little container to hold all of summer’s best memories. A list of activities you did during the summer. You can check them off and make notes of fun or silly things that happened at each one. 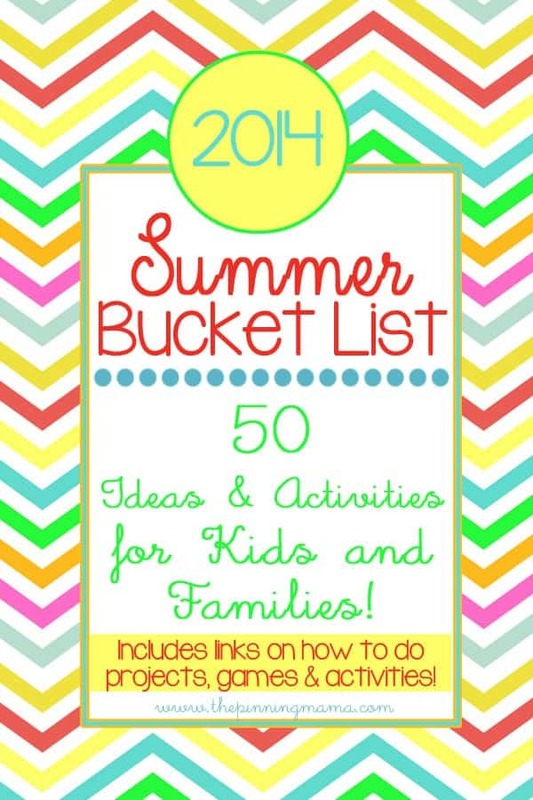 Use our Summer Bucket List template if you don’t have one of your own! 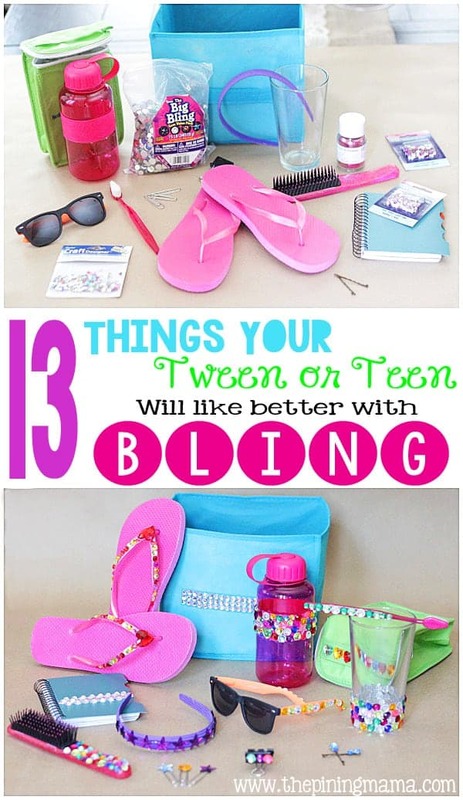 For more summer fun ideas for the kids and family follow us on Facebook and Pinterest! We did a time capsule at Y2K (obviously, its been awhile since my children were little.) But what’s funny is that they still remember doing it and don’t want to open it yet! I like the idea to use the wet one container… it will protect the contents well and won’t rust like the metal can we used.